Jazz cliches are everywhere, but I never realized how popular “The Lick” was until I saw this video below in our forum. The lick is a bebop phrase that is usually played over a minor-key 2-5-1. The origins and the first recording of the lick are not very clear. It is heard in Stravinsky’s Firebird from 1910, but probably dates before that. You can play The Lick over a D minor chord or a minor 2 5 1 progression, as I do in this example. The Lick can be played over other chords as well, as you can hear in the following example. Here The Lick starts over Dm7 (Im), then goes to Bbmaj7 (bVI) and Gm7 (IVm). On the A7 I play the “Cry Me a River” lick, another jazz cliche. In the second chorus, I play a little variation. I just want to say how much I appreciate your lessons. Thank you very much. What would be most helpful would be some great swinging backing jazz blues tracks to play and practice our licks over. Especially in the key of Bb at about 160-180bpm and about 5 minutes long. Are you able to provide some CDs or MP3s for us to use? Thank you. You should check out a product called Band-In-A-Box for requests like these. It’s a great play-along product. You can pick styles, tempos, etc. and it sets up some nice backing tracks to practice against. Great stuff Dirk…..many thanks for all your work…best w.
Excellent stuff, I’m new to jazz guitar and listening to a lot of John Coltrane and Wes Montgomery. Keep on the great lessons, I’ll be following. Thanks Dirk…nice tunes to jam with!!! Great stuff. Love the instruction and chord insights. Keep up the great work. THANX TO ALL YOU GUYS WHO GIVE THESE LESSONS FOR FREE……….THANK YOU!!!! Amazing stuff fellas, very straight forward, fun and enjoyable to learn, Thanks so much guys keep up it ! Where can I get this as a ringtone? Thank you very much. I’m just beginning just because I found your page. You made me take my guitar and begin. Congratulations for your work. 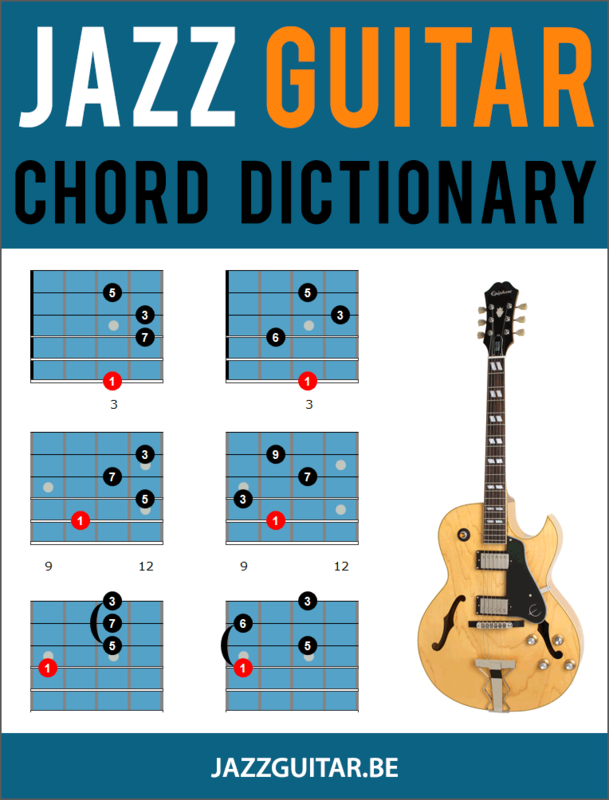 I have just bought the jazz blues book and before starting with it, I’m looking at the beginners lessons. Am I doing it in the wright way? Do any of you suggest me some subject to start? I’m a beginner. Could you tell me why the lick in Jazz music is called the lick? The verb Lick is referred to licking such as licking an ice cream, and I wonder what is the correlation? Thank you for your explanation. The origins of the word lick used in a musical context is not entirely clear. The word has been used as early as 1920. 1) A lick is a small amount of something. 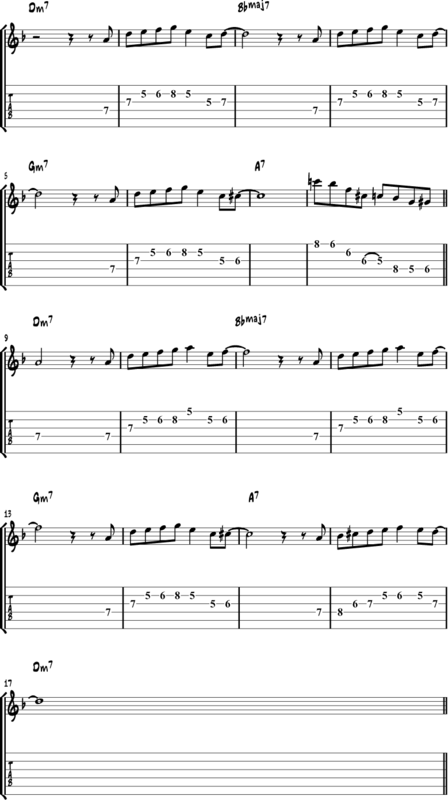 A guitar lick is a small excerpt of a solo, the ‘tasty’ part. 2) It could also be derived from the saying “Getting your licks in”, which means “making the most of the opportunity”. This seemingly short little lesson has had me woodshedding for days!!! The sheer number of variations one can come up with are mind boggling. Now I have to go hunt down some recordings of “the lick”.